Carry brilliance and complete transactions in a small, portable device – the VX 680. Merchants on the move, from delivery services and stadium vendors to restaurant pay-at-the-table service providers can process on-the-spot transactions with minimal consumer waiting time. The VX 680 boasts a powerful processor for ultimate processing speed. 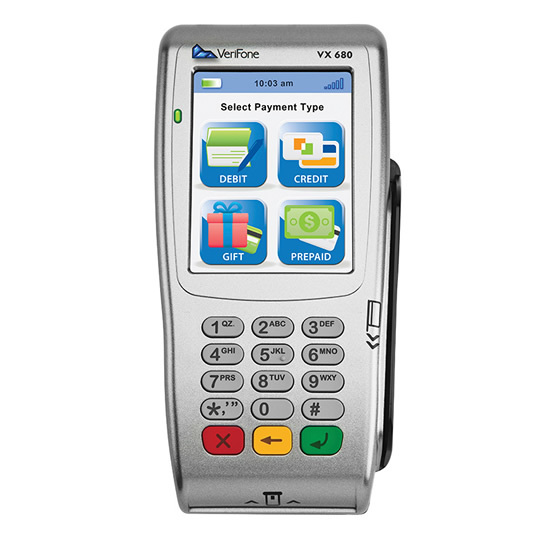 Merchants using the VX 680 keep lines moving so consumers don’t have to wait. Comes with a 3.5″ touch display of vibrant color and backed by the VX Evolution platform.